We're working hard on a new website, so check back soon! 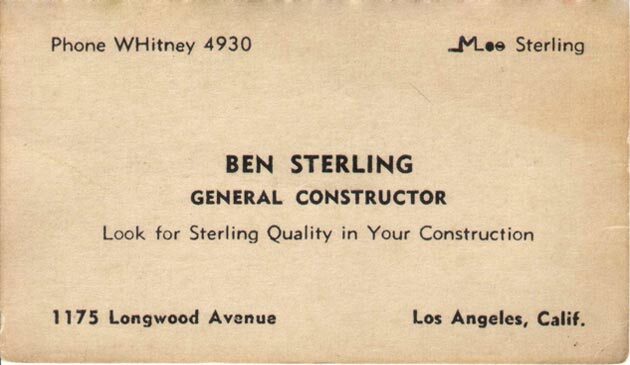 Ben Sterling and Dave Sterling, Scott’s grandfather and great uncle, began construction and oil operations in Los Angeles. 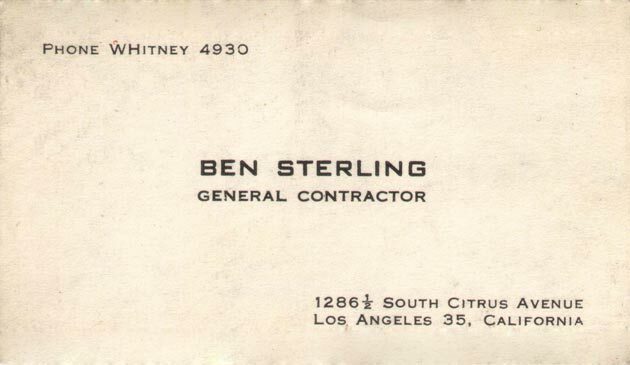 Ben expanded his construction operation to include the Long Beach area while Dave established over 100 Golden Eagle gas stations under his independent oil company, Sun Oil. Ben’s sons, Moe and Leo, eventually became involved in the building industry. 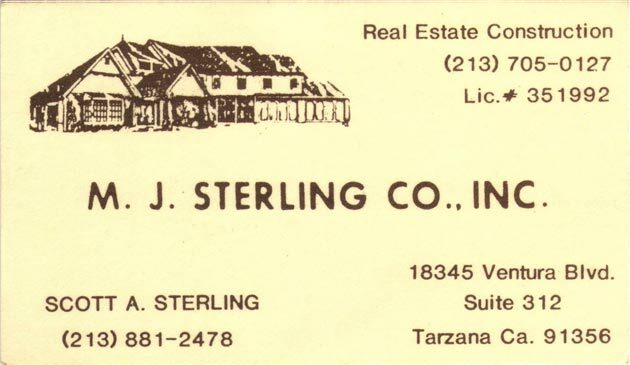 Leo became a demolition contractor and Moe (Scott’s Father) started M.J. Sterling Co., building and maintaining many of the Golden Eagle gas stations. 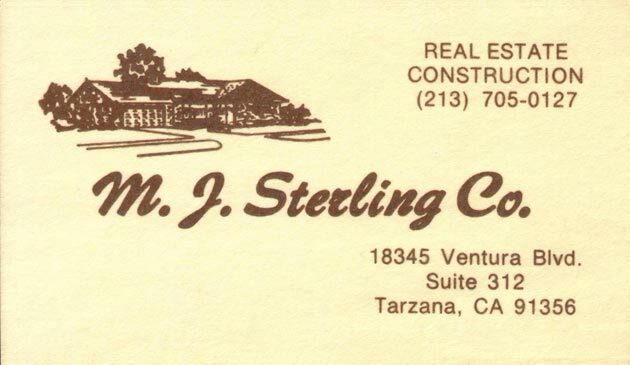 Moe’s sons, David and Scott continued the building tradition in the Sterling family by working for their father developing custom homes and buildings in LA and the San Fernando Valley. 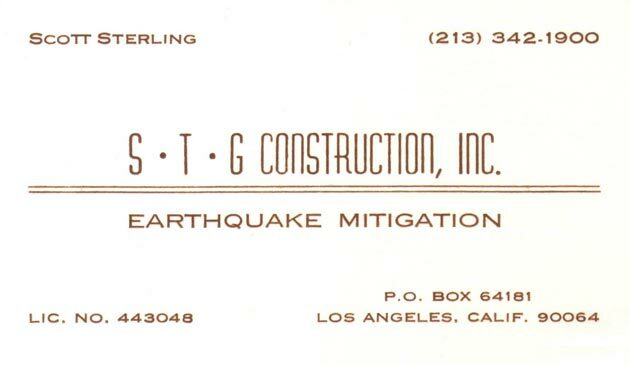 David and Scott continued working together and completed over 20 earthquake mitigation projects on commercial buildings in LA. 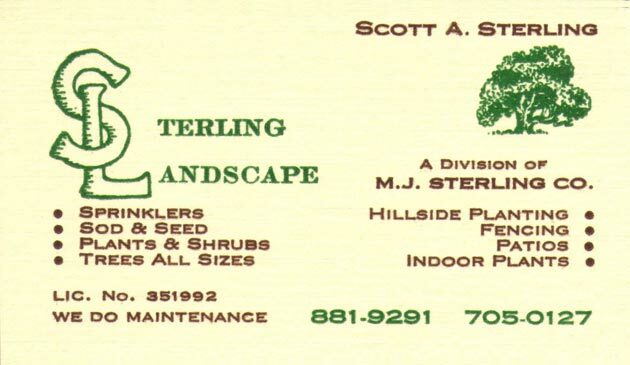 Scott started his first solo venture as a landscape contractor. 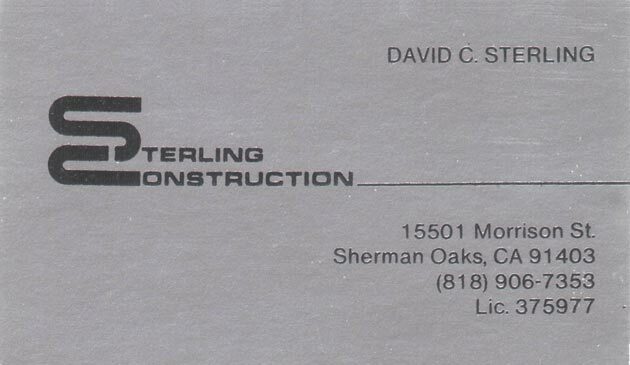 Scott and David adopted the name Sterling Construction and commissioned the design of the highly recognized logo still used today. 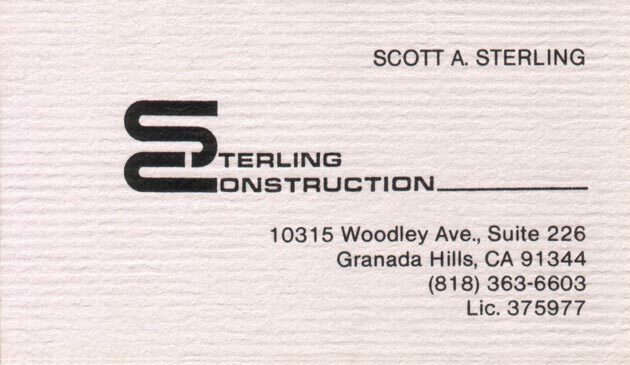 Scott branched off and attained his own contractor’s license. Since then he has established himself as both a respected and trustworthy contractor, and a dedicated and involved community member. 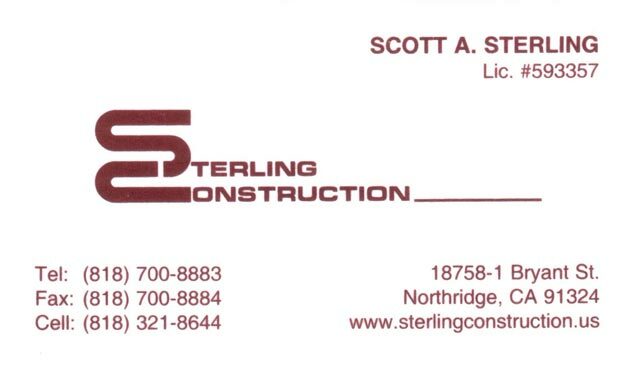 Scott continued to grow his business with 100’s of projects completed ranging from residential remodels and new homes to commercial tenant improvement and industrial construction. 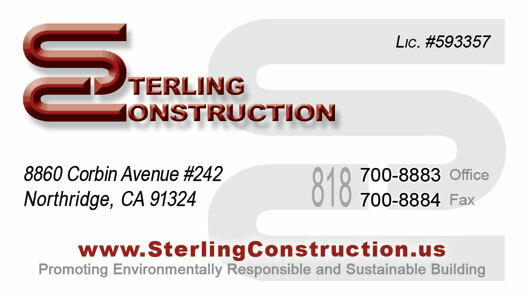 In the last 10 years, Sterling Construction has lent their expertise to historical and architectural preservation work. They are currently the preservation contractor for Stahl House. For your next building project you owe yourself three generations of knowledge and expertise behind you. Contact us today to discuss how we can assist you with your next project.